History at your fingertips and under your feet. There is definitely not a shortage of sights and sounds of history through the Northern Virginia area. The United States has a rich history and much of it was started right in your new backyard. If you’re interested in owning a stunning historical home in Northern Virginia either buying or selling, we’re here to help you! Northern Virginia has Historic Sites for Everyone! As the above list mentioned, there are a multitude of historical sites to visit. If you want to live and breathe history a good place to visit would be the Claude Moore Colonial Farm. There you can visit a working farm that dates back to 1771 and see the day to day life of these early Americans. If you want to go see some of the historical halls, you can visit George Mason’s Gunston Hall which isn’t located too far away from George Washington’s home. It is now owned by the Commonwealth of Virginia and is open to the public. While historical homes come with a wealth of history you will be making additional history in the house and putting your touches on it. Living in an older home comes with a certain uniqueness you can’t find in today’s modern homes. Your house reflects you and your personal style. Northern Virginia is unique in that there are houses from the revolutionary war and onwards, a boast that most cities across the United States can’t make. The Colonial American House dates to about 1800. While the north has the Cape Cod house, a type of New England Colonial, Virginia is known for the Federal and Adams type houses with the large porticoes, and decorations at the front. This is in addition to the Georgian and German Colonial styles homes. The early and mid-1800’s saw rise of the Greek Revival known for their large pillars in front, and the continued popularity of the Colonial and Federal styles. The Greek Revival became known as the national style at one point and were usually painted white to resemble marble. The later 1800 were the time of the Victorian Style home. These houses were made of brick and were ornate with many spindles, scrollwork and brackets around the face of the house. This style is a popular choice for row houses in many parts of Northern Virginia. Suburbs, city, or mountainous, Northern Virginia has something for everyone! Navigating the Northern Virginian neighborhoods, country clubs, and farmland is what we are here to assist you with, and happily so. 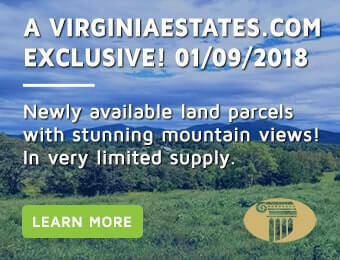 Interested in finding out more information on Northern Virginia Historical Homes for sale and other industry news? Be sure to check out our most recent Estates and Land Sales Guide for information on what we do best!